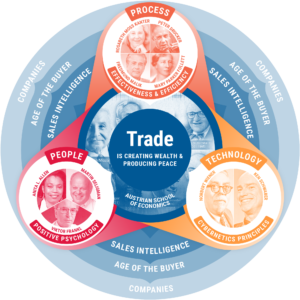 A single sales cycle is often made up of many emails, calls, texts, meetings and tasks and when you have a lot of opportunities in progress, it can become quite overwhelming to track all of the activities involved. 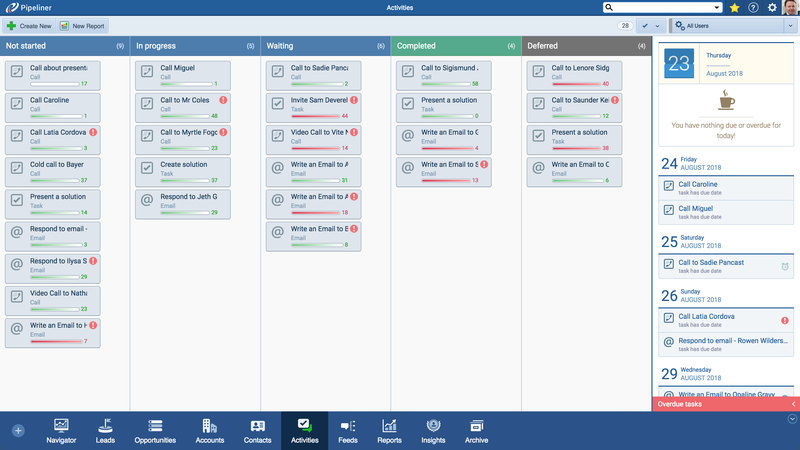 For that reason Pipeliner CRM brings its powerful visual functionality to task and activity management —streamlining and making the most out of a salesperson’s precious time. With our visual approach, salespeople are always informed of what to do next, and can update task statuses, comment and collaborate all in one place. 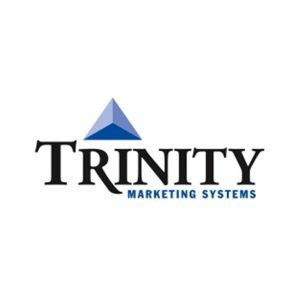 As with many other Pipeliner CRM features, all types of sales activities—including tasks and events—are fully customizable with a broad variety of custom fields and forms. You can also create unassigned activities—tasks waiting to be done. This functionality is especially useful when connecting activities with third party tools. 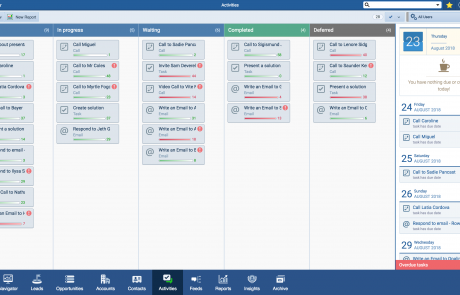 For example, you can connect a zendesk support ticket to a task in Pipeliner CRM, and inform your customer success manager about the issue or issues your customer is faced with. Any update of the zendesk ticket is reflected immediately in the Pipeliner CRM task status. Activity 1:ANY allows you to attach the same activity to multiple accounts, one or more opportunities or anywhere it applies. Invite other users as well as contacts to appointments, and track any email as an activity. 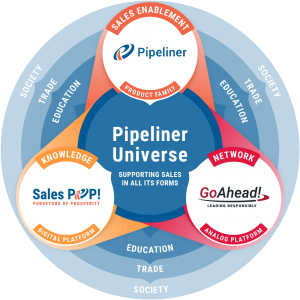 Pipeliner also saves time through automatic task creation as you move an opportunity into the next sales pipeline stage. When an opportunity is moved to a new stage, a pre-defined list of tasks is suggested to the user. The user can accept, edit or reject the tasks. You can also make tasks or activities mandatory so that they must be completed before an opportunity is moved forward. 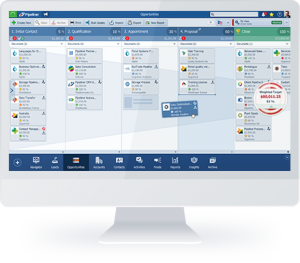 Sales tasks and activities are made totally manageable by salespeople and sales management alike through Pipeliner’s instant intelligence, visualized.